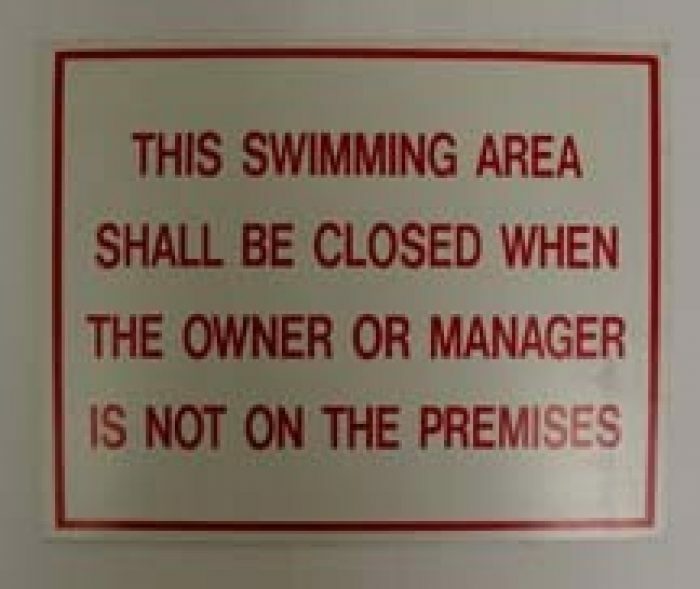 Area Closed sign informs patrons that the swimming area shall be closed when the owner or manager are not on the premises. 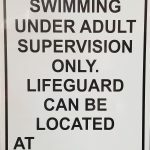 Area Closed sign features a white background with red lettering. 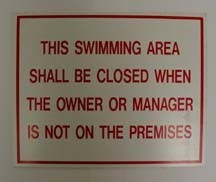 It informs patrons that the swimming area shall be closed when the owner or manager are not on the premises. 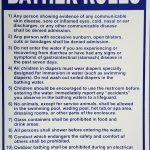 The sign measures 8 x 10 and conforms with NJ Bathing Regulation requirement for lifeguard exempt facilities. REFUND POLICY is as follows. For CPO Services, a refund will be given prior to 14 days of the class less a $35 cancellation fee and a 5 percent credit card charge. No refund will be given in the two week period before the start of the class. For products, refunds will be given on unopened returned merchandise within 30 days of purchase minus a 15 percent restocking. Shipping fees are not refundable.